KIDS KALIEDSCOPE . . . When teacher Jamie DeVries began planning his Advanced Placement economics curriculum at San Marcos High School in 1999, he searched for a class exercise that would keep his students engaged. “For some kids, economics can be a dry subject “I taught it four years before going to San Marcos High School and thought about how to make this curriculum come to life. Kids Helping Kids is the result. Originally, it began with a penny drive at the old Ruby’s Diner in Paseo Nuevo. The student-run nonprofit organization has transformed the local community and provided assistance for children in need internationally. It has grown immensely and raised a staggering sum, more than $2.2 million since it was founded in 2002. Along with the AP curriculum, DeVries’ students spend the year learning the ropes of a functioning nonprofit. “It’s not just the kids we are serving, but also the students who are involved in the process, because they are seeing a new outlook on learning how to run an organization,” DeVries said. First, the student team determines which organizations it will raise donations for. Students produce events, applying classroom lessons about accounting, marketing and management, all leading up to an annual benefit gala concert. Next, they plan the fundraiser. The gala raises the most funds. The first benefit concert in 2013 raised more than $20,000. The student-produced concerts are presented at The Granada Theatre and have featured major artists such as Sara Bareilles and Switchfoot, and indie pop singer Ingrid Michaelson. “When they have to maximize revenue in terms of filling seats for the concert, booking the band, managing the cost of the artists, setting up a marketing budget and the campaign, then the learning comes along in a profound way,” DeVries said. Up to the night of the gala, students hold a series of smaller fundraising events, including a talent show, holiday parade and school dances. Students also help with local foster programs and with parents interested in adopting children. After choosing the organization that will be the recipient of their fundraising and the event, students decide how to allocate the money raised. Each year, the students set a goal and go beyond it, setting a record. He said about 75 percent of the funds are directed to local causes and 25 percent to international programs. In Santa Barbara, Kids Helping Kids has raised money to cover medical bills for a family so they could spend time with their daughter dying of cancer, paid for the funeral of a child who died in a car crash, donated an electric wheelchair to a student with epidermolysis bullosa, made contributions to Unity Shoppe and subsidized SAT/AP fees for low-income students. Kids Helping Kids’ international projects include support for a schoolhouse for at-risk students in Nicaragua, a clean water installation system in Honduras, and funds for a preschool building and orphanage in Rwanda. The teens volunteer their personal time after school. While DeVries is the founder and keeps the organization moving forward, the Kids Helping Kids team includes more than 100 SMHS seniors. One of those seniors, Makena Hubbard, is a team member. Hubbard was so inspired she became Kids Helping Kids’ chief executive officer. The Kids Helping Kids model is expanding beyond the San Marcos campus. High schools in Dana Hills and Sacramento have copied the classroom curriculum. DeVries hopes the motivation and desire for young students to help those less fortunate continues to grow. In the future, he would like to see a Kids Helping Kids chapter in every state. HELP THESE GREAT KIDS MAKE A DIFFERENCE - MAKE A DONATION - BUY A TICKET TO THE CONCERT ON JANUARY 14, 2017 AT THE GRANADA THEATRE, SANTA BARBARA. Toy Time Machine from leading STEM toy creator Piper brings back the magic of childhood by allowing users to scroll through decades of fan-favorite toys. 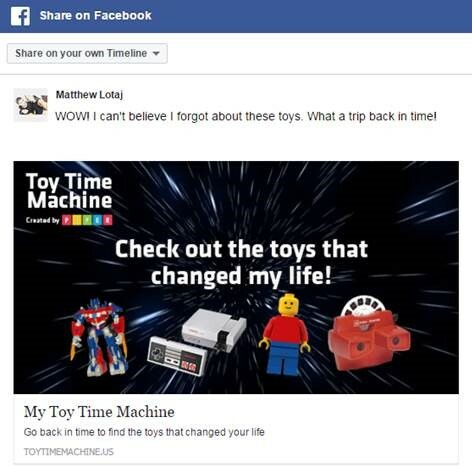 Toy Time Machine generates the most popular toys based on decade and encourages users to "add" them to their virtual toy box and share on social media! Piper's purpose in creating the site is to encourage everyone this holiday season to look back and truly appreciate the toys that defined their generations and changed the landscape of holiday gifting as the next generation gets ready to unwrap their wish lists.